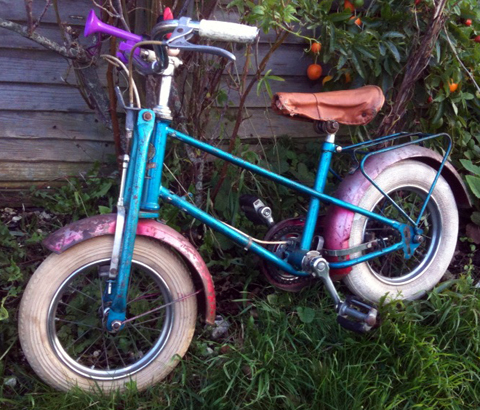 It’s now all set up ready for my daughter Delphy to ride, including her vintage Minnie Mouse horn that I found at a cycle jumble, except that I must buy a pair of stabilizers for it. I’ll add more photos when she’s ready for it. After researching the manufacturer, I was delighted to discover the company’s roots were in the Aberdale Cycle Co. I bought an Aberdale Cycle Co brochure at an autojumble some time ago. Now I have a reason to add it to this website. Joe Levy took over as managing director in 1941, and during WWII, the Aberdale plant became turned over to production of war materials, including the building of a small generating engine set for use on aeroplanes. With the return to peace in 1945 came a renewed demand for economic personal motorised transport – and now the autocycle was poised for its big moment! 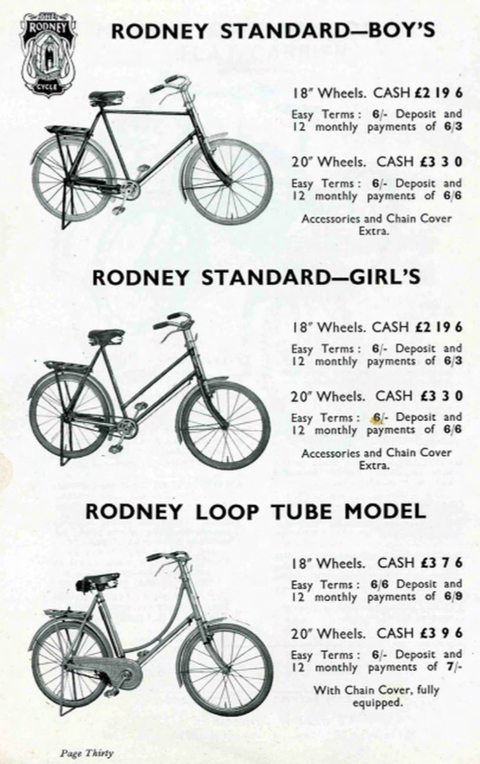 As other cycle manufacturers successfully returned to the market with their pre-war autocycle models, the shrewd Levy brothers saw new opportunities opening. Designed by W A R Bown, and powered by the Villiers Junior de Luxe motor, the Aberdale autocycle appeared out of the blue, and was first reviewed by Motor Cycling on 6th March 1947, shortly followed by the appointment of Claude Rye Ltd of Fulham Road, SW6, as main agents. 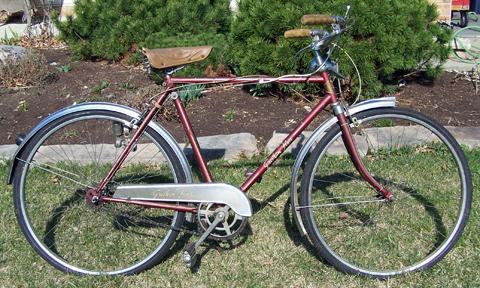 The 1947 Aberdale Autocycle is illustrated below. It was re-designed and sold as the Bown Autocycle. But autocycles had only a short currency as a valid form of transport: the ‘mo-ped’ and scooter boom of the fifties made autocycles look very old-fashioned. 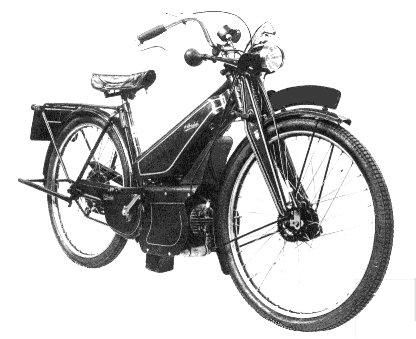 Most bicycle manufacturers who had re-tooled for autocycle production could not diversify fast enough to make mopeds, particularly as the moped market was so competitive, and many of them suffered financially. …The Aberdale directorships were formally relinquished in January of 1959, and on 27th February it was advised “The business of the Aberdale Cycle Co. Ltd. has transferred to Britannia Works, Handsworth, Birmingham 21, as part of the new buildings of the British Cycle Corporation” (sharing the address with Hercules and James Cycles; at the former site of Brampton Fittings Ltd.). This wasn’t however the end of the road for the partnership of the Levy brothers and W A R Bown, who along with several of their former colleagues from Aberdale, registered The Trusty Manufacturing Co Ltd at Angel Factory Colony, Edmonton, London N18, making the Trusty Pavemaster children’s scooter and a range of juvenile Trusty Pavement Cycles. 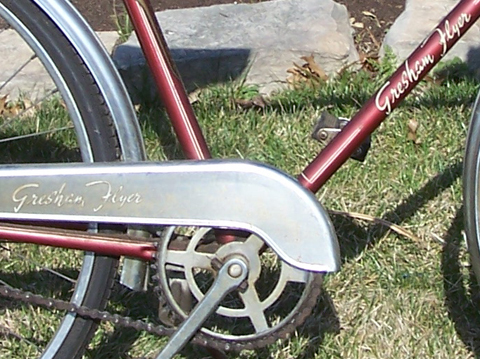 The Trusty name had also been used in the early years of cycling as a model name. Brighton Cycleries, of 10 Pool Valley, Brighton (and also Corn Exchange, Brighton) made a ‘Trusty’ in 1898. Lindsay Brothers of Milwaukee WI, USA also had a ‘Trusty’ in 1895/1896. 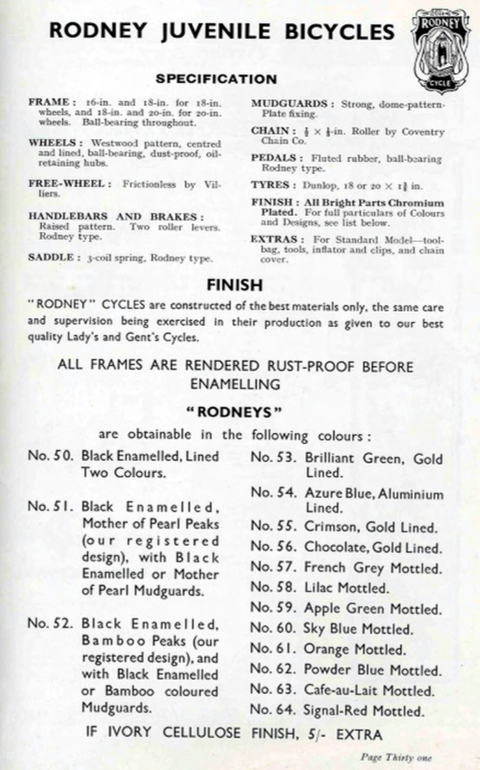 Another ‘Trusty’ manufacturer was Robert Middlemiss of 76 West St, Gateshead, Durham around 1898; and in the same year, William Rootes, of Station Rd, Hawkhurst, Kent (and also High St, Goudhurst, Kent) is listed as making a ‘Trusty’ bicycle. But the company name had been registered 100 years ago, so maybe it was owned as a dormant company by one of the Aberdale partners? The original Trusty Manufacturing Co was at Park Place Works, Ardwick Green, Manchester, established around 1910 by Herbert and Harold Cooke. 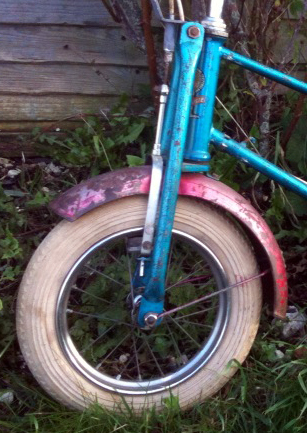 They manufactured the Trusty Hand Propelled Invalid Tricycle, priced at 37 guineas. The company made munitions during WW1, and the Cooke brothers opened cycle shops at Deansgate and Longsight, Manchester in the 1920s. 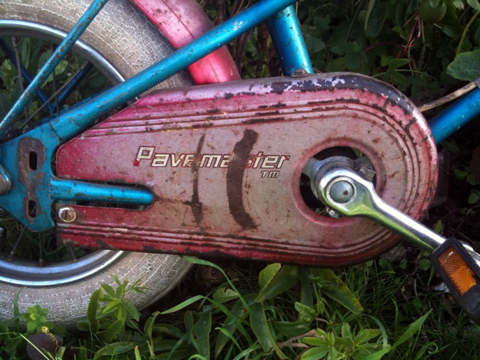 But the Trusty Manufacturing Co seems to have continued in the bicycle trade after their inaugural Pavemaster Children’s Cycle. 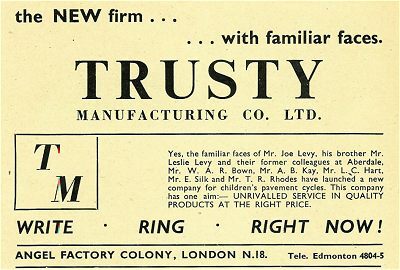 In the 1970s, after Lambert Cycles went into receivership, Trusty Manufacturing Co. (England) apparently took over the tooling and frame manufacture and the changed the name to Viscount. 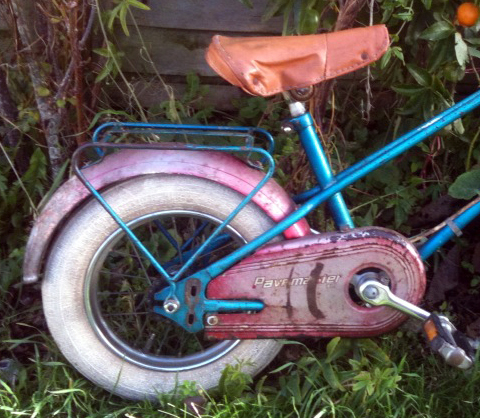 Aberdale’s Gresham Flyer tricycles were once an important part in the lives of folks of a certain age. 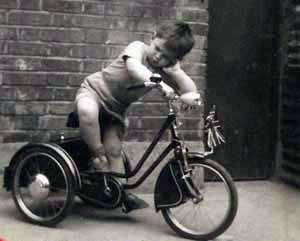 Those born during WW2 and soon after who were lucky enough to own a tricycle may well have started their pedalling career on one of these worthy machines. 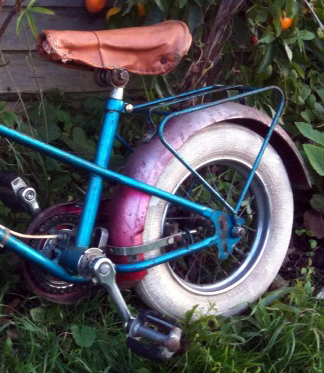 Gresham Flyer was obviously considered to be a good name, perhaps too good to be only used on a child’s tricycle. 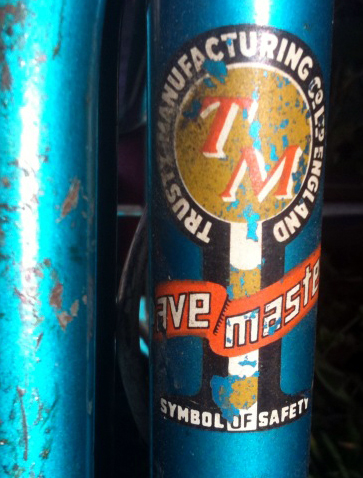 So the name was also used for bicycles exported to the USA in the 1950s by Raleigh. 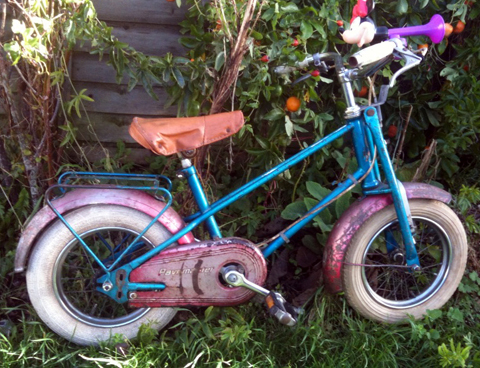 The Flyer pictured below is owned by ‘Honeybee’ who posted these pictures of it on http://www.thecabe.com forum. 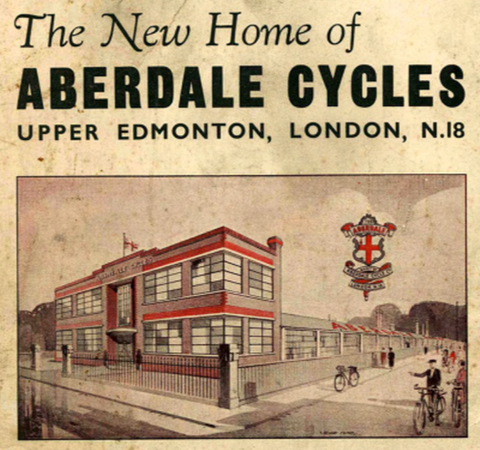 Hopefully, this little corner of the internet will now provide a reference point for anyone researching Aberdale Cycles, Gresham Flyers and Trusty Manufacturing Co. As you probably already know, I update the pages on this website constantly as more information turns up.